Find out how to make your own apple spice granola with almonds and coconut for a delicious and healthy treat the whole family will love. It looks so healthy sitting there on the grocery shelf, filled with oats and dried fruit. And then there are the delicious sounding buzzwords like vanilla and pumpkin spice. It’s just so easy to grab a bag and move along. Granola is a staple in our family. We love to put it on our yogurt at breakfast, munch as a quick afternoon snack, or even to turn into a delicious s’mores treat! But as healthy as packaged granola seems, there are plenty of unsavory ingredients hidden in that granola sitting on the grocer’s shelf. Today is the second day of the Spectacular Summer Blog Hop. 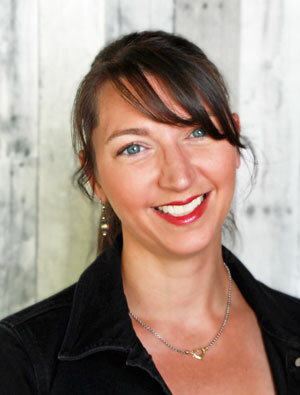 My co-host, Tammy, from Hey Fitzy, is sharing why her family had to start making foods like granola from scratch. And she’s also sharing a delicious recipe for all natural apple spice granola with almonds and coconut. Make a big batch of this granola, and you won’t be guilty of buying the store-bought stuff anymore! Our oldest son is in the military and stationed overseas. He suggested I start a blog so he could follow along with all our projects at home. He also casually suggested that other people might like to follow our projects as well. I had no idea what I was getting myself into…but so glad I listened to him. Living in small quarters with 5 people and 2 dogs isn’t as bad as you imagine. 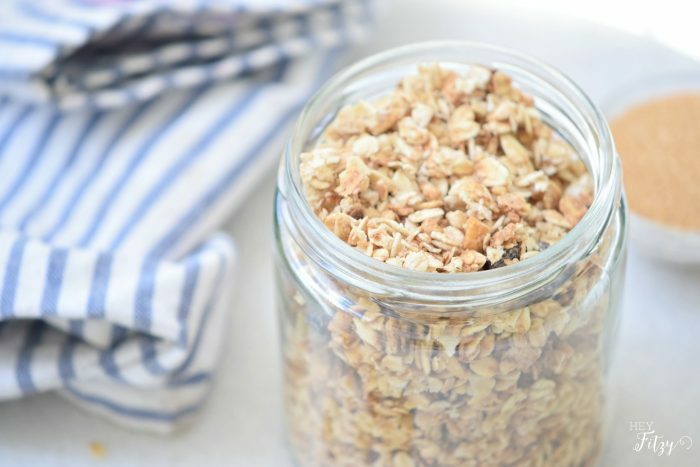 And, of course, don’t forget to get that delicious granola recipe over at Hey Fitzy! 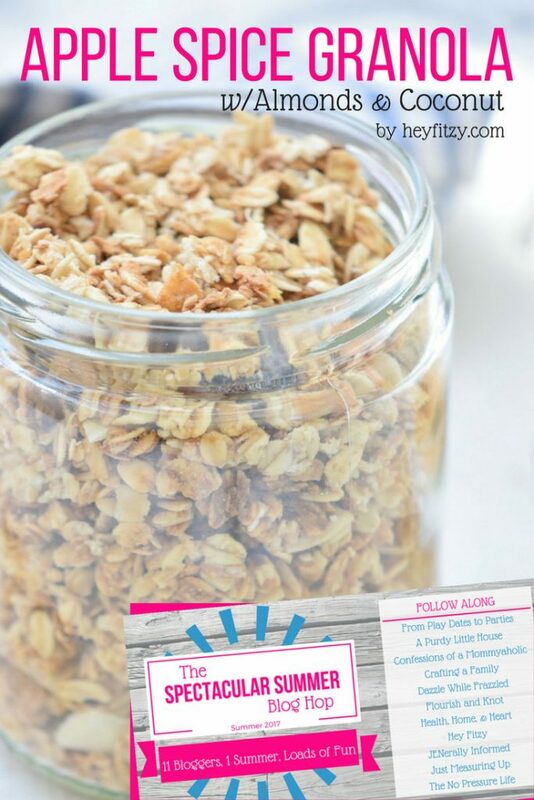 Thank you for sharing my granola recipe! It really is a family favorite and super easy to make. Thanks for sharing the recipe! Looks delicious! Mmm… That looks so good and healthy. I absolutely can not wait to try this tomorrow morning. I followed your link from Modest Monday linky party. I’m looking forward to trying it Tammy it sounds delicious! Looks delicious! Thanks for sharing it with us at the To grandma’s house we go link party – I’ll be featuring this tomorrow morning when the new party starts!